Last week I watched a webinar called “The Secret Lives of Women: Researching Female Ancestors” presented at the Legacy Family Tree website. Speaker Gina Philibert-Ortega gave many helpful ideas for researching one’s female ancestor, or, “ancestress,” to use her term. This webinar is available for free only until July 8 so I highly recommend watching it if you can. If you can’t get to it here just a few of Philibert-Ortega’s hints. 1. Research the woman and her family, including in-laws, siblings, etc. Second, I was pleased to see that Philibert-Orgeta suggested using many of the websites listed in my September 9, 2014 post about researching women. I won’t relist them here, but be sure to take a look at them. Third, newspapers and city directories can be gold mines of information about women and the communities that they lived in. Take a look at Cook Library’s Genealogy Page for more information and hints on searching newspapers. Let me leave you with a real-life illustration of how researching a community can add to the scant details about a female ancestor’s life. 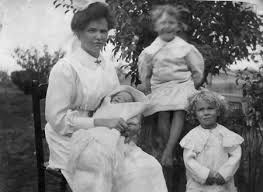 My great-great grandmother Inga Anderson immigrated to Kewanee, Illinois from Sweden in the mid-1800s with her husband and three children. Her oldest daughter died in 1895, her husband perished in a tragic railroad accident in 1901 and her youngest daughter married later that same year, leaving her living at home with her only son Gus. In 1906 an event took place in Kewanee that I think must have had an impact of Inga for the rest of her life. The evangelist Billy Sunday held a five-week religious revival in Kewanee which drew 2000 – 3000 people every day to hear his compelling sermons. By the end of Sunday’s visit, over 3,000 people had been baptized and their names were listed in the local paper. My great-great-grandmother, a faithful Lutheran according to her obituary, was probably not among those baptized at the revival, but she must have been affected by Billy Sunday’s presence in Kewanee for so long. 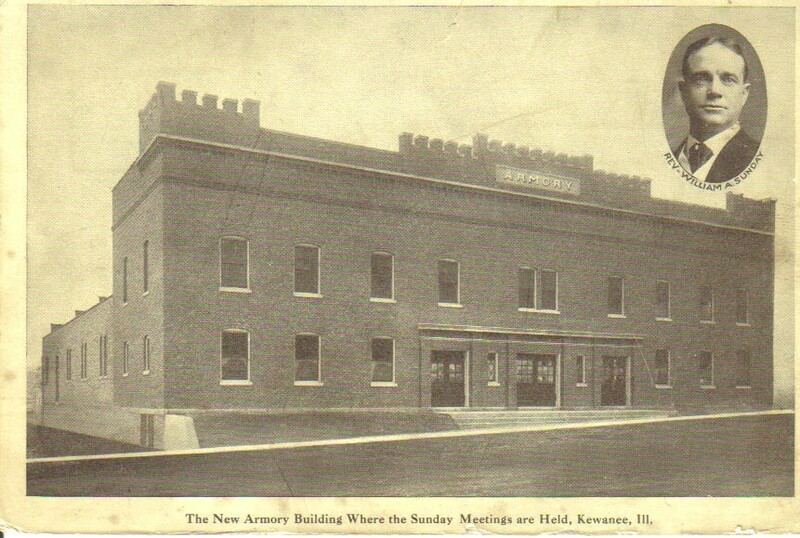 I wonder if she wasn’t one of the thousands that filled the Kewanee Armory on at least one occasion. Perhaps she found comfort and encouragement in the evangelist’s words, for she lived for twenty years after that, at the age of 78. At any rate, the newspaper article I found on the Kewanee Historical Society’s webpage has given me new insight into Inga’s life in Kewanee. What can you find out about the times your female ancestor’s lived in? Start digging for details today. July 6, 2015 in Genealogy.